Geums – I love them! And if you’re uncertain how to pronounce this little Latin name, then split it in two: Gee-Umm. The genus Geum is a member of the massive rose family (Rosaceae), which provides many useful plants, including important crops (apples, pears, cherries, peaches, strawberries) and ornamentals (roses, cinquefoils, hawthorns, mountain ash). 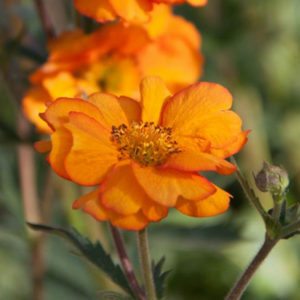 Commonly known as Avens, geums are hardy herbaceous perennials with evergreen, usually hairy leaves and elegant, airy flowering stems. The blooms come in a wide range of colors-my preference is for the hotter tones and maybe upright or pendulous. They work well in pots, but also planted en masse in herbaceous borders; blend them with ornamental grasses, heucheras and coneflowers for a delicate display that dances on a breeze. With so many excellent cultivars available, it’s hard to pick a favourite, but ‘Mango Lassi’ is worthy of mention. Currently flowering in the Potager, this recent selection from Oregon has golden blooms that darken with age, while also developing a faint red edge to the ruffled petals. With dead-heading, it will flower for most of the summer, though this will deprive you of the pretty seed-heads. In the garden, geums need a sunny spot and regular water in summer, though avoid splashing the foliage as this can encourage mildew. They are not long-lived, so divide clumps every few years to extend their life. 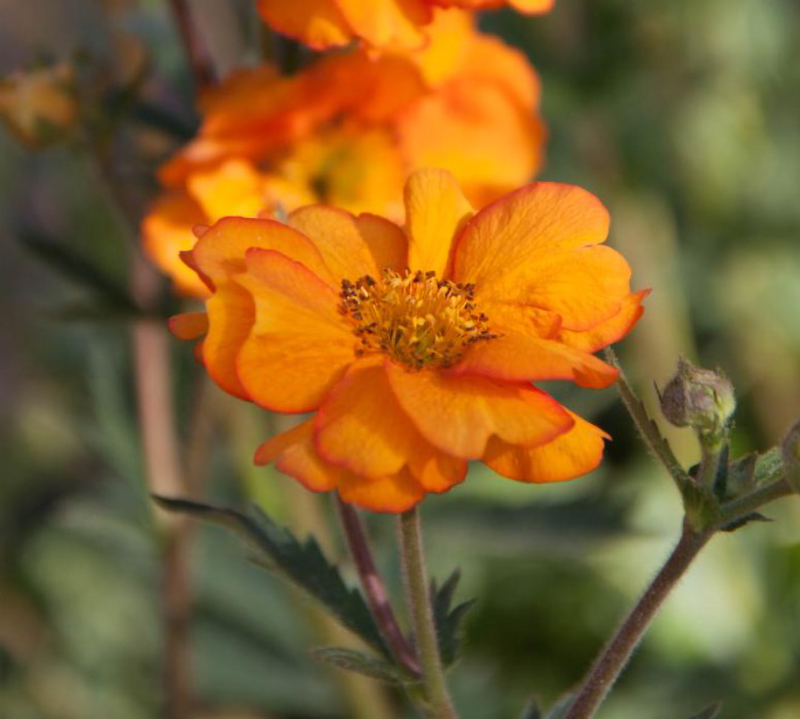 Geum was the subject of one of my earliest collections. Attracted by their good looks, minimal maintenance and extensive color palette, over 50 different cultivars filled my English garden. But it was a high school biology textbook that really kindled the craze. Back home, we have two common native geums, water avens (Geum rivale) and wood avens (G. urbanum) and where the two meet, they interbreed. My textbook stated that the offspring of two different species would be infertile, but these geums bucked this trend. Their hybrid offspring are fertile and can cross with their parents, producing plants with a range of intermediate characteristics. Clusters of these progeny, known as hybrid swarms, occur together with the parents and I found one beyond my grandmother’s garden fence. Geums are worthy garden plants, but for me, they also inspired my choice of career.